Many bloggers get hate mail. No doubt it goes with the job. I am fortunate that I have had so little. By hate mail I do not mean those who argue points. If done civilly and rationally, that is fine and good, and welcome. But there are some who wade in with name-calling and even threats. These people – or so far, this person – will be banned. Being a personal blog there is no obligation here to provide absolute free speech to all and sundry. Being a personal blog it is not compulsory reading, and those who do not like what they read here can just stop reading it, and look elsewhere for material more to their taste. The blogosphere is a reader’s market. The most recent hater left a series of comments rather than just one, which read a little like stream of consciousness writing – as it comes to mind, so it is immediately written down. In one he accused me of fomenting controversy, and so acting in a way unbecoming a priest and a Benedictine. In another he darkly reminded me of Fr Michael Clifton’s blog, which that priest was forced to abandon due to threatened litigation by another cleric whose published views he criticized on doctrinal grounds. This reminder, of course, was a thinly-veiled threat. No doubt this commenter would uphold the academic freedom of theologians to say whatever they want; and would uphold the right of anyone to express opinions against the teaching of the Church. Tolerance is a one-way street for such people. So, in the same vein, I have taken down those comments. Yet, though this is a personal blog, I am indeed still a priest and a monk. How my post welcoming our new bishop, commenting favourably on his first press statement and tentatively (as I do not know most of the details) supporting his work as vicar general in Shrewsbury can be construed as controversy is beyond me. How supporting and promoting the ministers and the teachings of the Church can in any way be said to be unbecoming to a priest and a Benedictine is likewise beyond me. The accusation has been levelled that I am a craven proponent of the Church’s line. There is nothing craven about it! The approach here is measured and principled. It is a part of my role as a priest of the Church. I am ordained to teach the faith, not my faith. 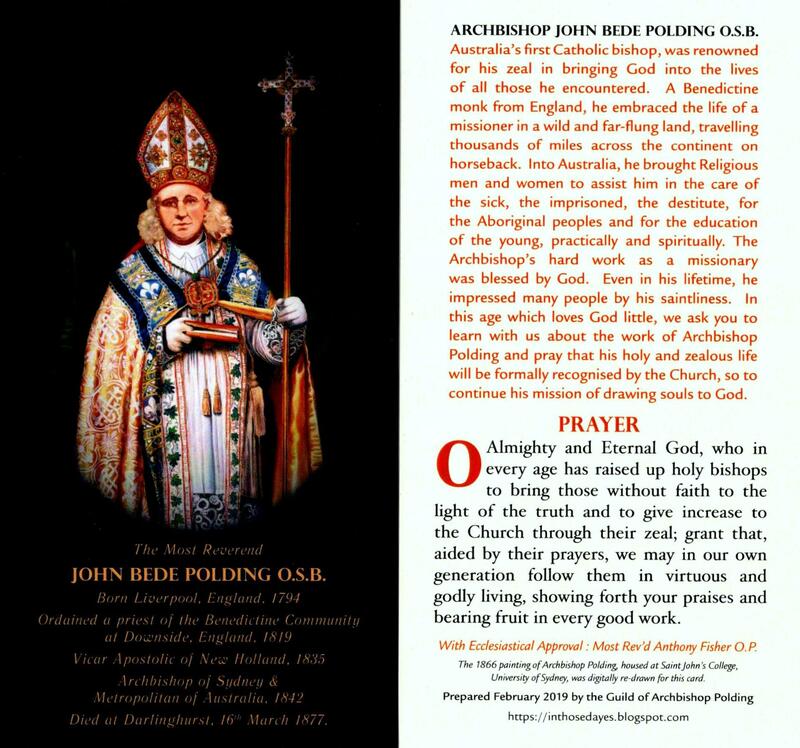 There are some things the previous local bishop did that I found difficult to approve; but it is not my place to criticise him in public unless he commits grave sin or injustice. Even then, there are ways and means appropriate to the task. The bishop is, whatever else he might be, a successor of the apostles and deserves my respect and loyalty, despite the fact that I am not directly subject to him. There are parts of the new Missal I find clunky, and there are things I would have rendered differently. But it is not my place to criticise publicly the Church’s liturgy. It has been promulgated and it behoves priests above all to explain it so that all may derive maximum benefit from it. A little effort in this regard bears surprisingly rich fruit. Whatever its minor faults, it cannot be denied that the new Missal is vastly superior to the one it replaced. Possibly this commenter and others see Benedictines as tame religious, who provide oases of quiet hospitality for troubled souls, who stand apart from the world and so should stand aloof from it, being content to sing liturgy and till fields, and do little else apart from that. What a curious, and unhistorical, view of Benedictines, a view which could only come from someone who is not a Benedictine. Now, do they get upset at Fr Anthony Ruff OSB on the Pray Tell liturgy blog, who has been very loud in his opposition to the new Missal as well as espousing other views at odds with the Church’s teaching: controversial to say the least? Has my commenter left him hate mail I wonder? Or Sr Joan Chittester OSB, advocating women’s ordination and other things contrary to the Church’s teaching: controversial surely? Does he send her hate mail too? 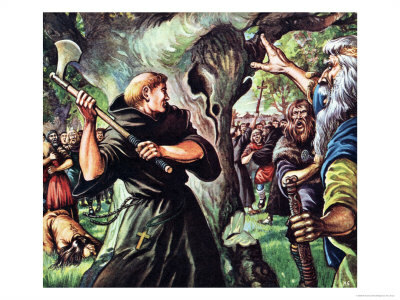 On the orthodox side, there is St Boniface, the apostle of Germany and English Benedictine monk, who used some pretty vigorous methods in evangelising those barbarian tribesmen, not least by over-turning their pagan altars and destroying their pagan shrines. If he were around today perhaps he would get hate mail too for being un-Benedictine. Actually, he was martyred, come to think of it! But not for being un-Benedictine. 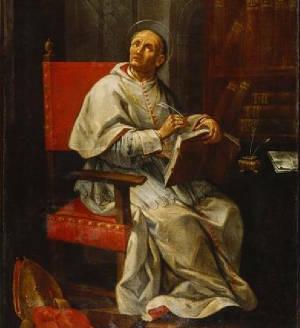 Or there is St Peter Damian, that great medieval Benedictine, a monk of great reforming zeal who lambasted with great gusto the scandalous members of the Church in his day, not least clerical sexual abusers and their homosexual sub-culture, in his treatise, the Book of Gomorrah. He was pretty controversial; was he thus also un-Benedictine? One reason why hostile rulers have tended to close or secularise monasteries at the outset of their anti-Church activities is that monks, in their relative seclusion from the hurly-burly of the world, gain thereby a perspective on the world and the Church which is lost to those in the thick of things. By standing outside monastics can see the whole in a glance. By standing back from the strong currents of the present time, they can see back into history and so understand the origin of many of these currents, and moreover their direction, and so whether to go with their flow, or to resist it. My perspective is not particularly enlightened when compared to the great monastic figures of history, and today. Nevertheless, a monk can speak from the perspective of his monastic crows nest in support of the Church and its teachings when they face opposition that has been nurtured by various movements of recent history. Today is the feast of St Ignatius of Loyola, founder of that most un-monastic order, the Jesuits (who are the last “order” properly speaking). Historically, Jesuits have always been right in the thick of things in the world, shock troops in the battle for souls. And “battle” is very much a Jesuit metaphor, spiritual and intellectual combat very much their metier. St Ignatius saw his spiritual sons as fighting under the banner of Christ. One must make a choice, to fight for the Kingdom of Christ or to serve the kingdom of Satan. Life, St Ignatius taught in his Spiritual Exercises, required the constant exercise of discernment, to determine whether the options that arise in our daily lives derive from Christ or from that other kingdom, and either adopt them or repudiate them accordingly. For St Ignatius the first battle for every Christian is within the self, against one’s own love of self and the world. The essential weapon in this and all battles for Christ is the submission of will, the self-surrender that is the heart of obedience, the obedience that Christ lived and calls us to live also. Since every army must have a local commander, St Ignatius expected the highest levels of his troops to commit themselves especially, by means of a fourth vow, to obey and be at the disposition of Christ’s earthly representative, the Pope. Whatever I have, you have given me. Christianity is not a philosophical speculation; it is not a construction of our mind. Christianity is not “our” work; it is a Revelation … and we have no right to reconstruct it. How much of this attitude, that the Christian faith is something we can change as we like, motivates those who advocate, for example, women’s ordination or the acceptance (indeed, blessing) of homosexual relationships? The Church’s teaching is that these are matters of divine revelation, and so cannot be changed. Revelation ended with the death of the last apostle; there will be no new revelation to contradict the previous (as if God would contradict himself anyway). To advocate change in things which cannot be changed is a fruitless, and ultimately destructive, enterprise. The constructive solution lies in the (perhaps painful) humility to submit to Christ and the faith he has revealed. To be sure, there are always elements in the life (as opposed to the dogmatic faith) of the Church that are susceptible to human frailty and sin and can do with a healthy dose of reform. However, to reform the Church in this sense is a task that can only be undertaken by someone who already submitted to the Church. All the true reformers were just such people. If their cause be just, God will always vindicate them, in his good time, not ours. So to all Jesuits, especially those Australian Jesuits who have been such a blessing in my life, let us wish a happy feast of St Ignatius; and may their works, assisted by the prayers of St Ignatius, prosper to the greater glory of God. Take courage, Fr Hugh. Your blog posts are never anything other than measured. You are right: tolerance seems to be a one-way street with these people. It often seems that if you scratch a liberal you find an illiberal. I’ve only just seen your post (which was fascinating reading). I am deeply sorry to hear of your experience with a “hate mail” commenter. I suppose it is easy for people to do this under the cloak of anonymity (which is why I could never take seriously the threat, or implied threat, of litigation : the litigator could not remain anonymous in a court of law !). I suppose this is the modern version of the old “green ink” letters. One could not respond because invariably they were anonymous. In any case, you can’t argue with, or reason with, someone who merely rants : usually they are beyond reason. I suppose the best practice is to do what most bloggers do : delete such comments. I was very taken with the notion that religious communities (note, I did not mention the Benedictines !) are oases of tranquility. Somehow, I don’t think they are ! As to the bishop-elect of Portsmouth, I can see nothing controversial about his appointment. I suppose those who want to start something begin with words like “conservative”, “controversial”, “provocative”, etc., and away we go. Equally, I see nothing shameful in upholding the teaching of the Church, but then I am just plain old fashioned. For a little light relief, I wonder if Father has seen the video on the New Liturgical Movement blog from a traditionalist Benedictine monastery (with very few monks, as far as I could see!) I couldn’t make out whether I was watching the clothing of a postulant, a novice, or what. Salve Petrus! Welcome back again. Hopefully cooler heads will prevail and the people of the diocese will welcome their new bishop as he should be welcomed. He is, at the very least, eminently well qualified for the role. My magnanimity towards the Jesuits is balanced by my frustration at some of things some Jesuits have done! That said, they educated me for 10 years and, in fact, I was a novice with them for nearly 2 years, so I am well acquainted with the order. Ever since Jesuits have been a recurring positive element in my life, providing me with hospitality when I make my regular visits to Sydney, and providing support (and churches!) after the deaths of my parents. For all the faults of some of them, the vast majority of them will probably withstand the fires of judgment quite well if judgment is anything like it is shown in Matthew 25. That video sounds like it might be from Norcia, a community of mainly American monks in Benedict’s birthplace. They do the liturgy solely in Latin, according to the new rites. The follow a more austere reading of the Rule of St Benedict but are no less humane for that! If it was a clothing, then it was a postulant becoming a novice. AMDG is always fine, but we Benedictines have our own version, IOGD: in omnibus glorificetur Dei – “in all things may God be glorified”. I’ve had another look at the NLM post. Apparently, the video was made in the Benedictine monastery of the Immaculata in the tiny Italian town of Villatalla. Apparently, the monks came from Le Barroux and celebrate theusus antiquior exclusively. NLM has just put up a most interesting post on Norcia. It seems they have turned their hand to brewing. The name of the beer is, inevitably, Birra Nursia. I had a look at their website, and they are having a grand inauguration, with the local bishop, and local dignitaries, on August 15th., an auspicious date. It set me thinking : what about a microbrewery at Douai ? ( There’s always a market for monastic beers). The problem with something like a microbrewery is it requires an initial capital outlay, as well as a team of monks prepared to make it their work long-term. I am not sure we could get that up here. We make a home-brew, which might be as far as we get. Thanks for clarifying the monastery; I stumbled upon them as well and wondered if that was the monastery you meant. And it was! Traditional monasteries are springing up everywhere. Take courage, Padre. For the Lord himself said “Blessed are you when people accuse you and speak all kinds of calumny against you on account of my name, rejoice and be glad, for your reward will be great in heaven.” It is fitting and an honour for the servant to follow in the footsteps of the Divine Master. There is a grave need to speak the Truth, as taught by the Church, to those infested with the heresies and errors fomented by the evil spirit of the world today, some of whom are sadly even members of the Church. Your ministry in humble charity is blessed by the Lord! Well, bless you Simon! Thanks. Almost as soon as I had posted my coment yesterday, the thought came to me : the cost of setting up a microbrewery would be huge. Then there would be the question of EU hygiene regulations, establishing a definite market for the beer, and I don’t kow what else. The production, etc., would be a heavy drain on manpower. I had another look at the website of the monks at Norcia, and viewed photos of their shiny new machinery, obtained, presumably, at astronomical cost. They also plan to rebuild an old Franciscan monastery which is almost ruinous. They must have some very wealthy benefactors, as well as an unshakeable belief that, come what may, the Lord will provide ! What you say about the new traditional communities springing up is very true. It is a curious phenomenon. You’d think someone discerning a possible vocation would approach an established house, wouldn’t you ? Disappointed by the fate of the Jesuits, I was reading recently of the Servi Jesu et Mariae who follow the traditional Ignatian spirituality. They were set up in Austria in 1988 by a Fr. Andreas Honisch, an ex-Jesuit who was considered too traditional by his confreres and was given the heave -ho, or so the story goes. He very soon acquired a following ( a development which initially was not at all to his liking, I gather ). 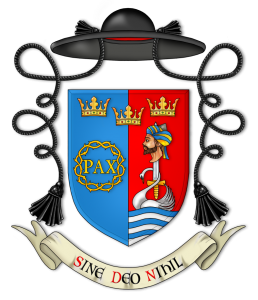 They were not schismatics, or anything like that, and in 1994 the Holy See named them a Society of Apostolic Right. They now have their own school and their own seminary. I wonder at the sudden growth of such communities. It can’t be simply a liturgical thing. The SJMs (to give them their correct siglum) use both forms of Mass. They are not excusively usus antiquior. This to me makes the decline of the established houses even more poignant. What went wrong with places like Fort Augustus, Ramsgate and others ? I suppose there is a particular history in each case. Well, on a more cheerful note, I was pleased to hear Douai does a home made brew. A glass of well made beer gladdens the heart. I once lunched with the Jesuits at Farm Street. The beer was not home made. It was bought in ! Yes, but to me (and I do not have a monastic vocation, especially at my age !) I think the “historical baggage” of an established house would be part of its attraction, if that is the right word. I would know what to expect at la Grande Charteuse, Stift Heiligenkreuz, Downside, Ampleforth , etc. The idea of joining a (possibly very small) group of enthusiasts would, I think, fill me with terror. But then I am not an adventurous sort ! If I felt called to that sort of life, then I think I would want to be a (very) small cog in a big wheel.